With the Zimbabwean Hip Hop industry starting to shape up and showing signs of life,many artists young and old have all for a while now been scrambling for recognition.Scrambling is neither good nor bad after all everyone yearns for the top,but my concern is on the how part of scrambling.Releasing singles every-week may make one a celebrity maybe in as much as being known for links you post on social networks but ultimately people get tired of links everyday because definitely there are many like you.The end result of releasing singles is u will never have any tangible thing.Get me right I am not saying releasing singles is a bad idea it is good but when there is something better why not try it out....Okay enough of what seems to be off topic to what I am supposed to be typing now,just thought I could help one or two fellow comrades in our endeavor to sail through to the shores of recognition as artist. 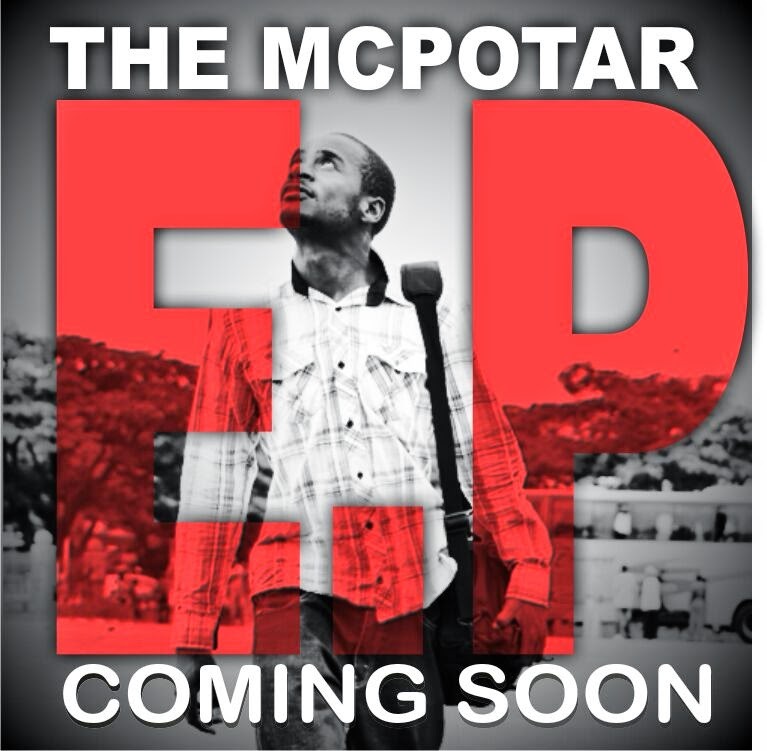 Well Micheal Mupotaringa (almost everyone knows about him so i will spare my calories by just giving you his name) has hinted on a project which he tittled The Mcpotar E.P which is due to be released mid-may 2014.,,,,,Okay so everyone knows the meaning of The we all know Mcpotar is the stage name for Micheal right,,,now the E.P part got some people cracking heads. To cut the long story short E.P stands for Extended Play.There is also L.P which denotes long play and obviously the one you folks all know Album.Now lets talk about each one one by one. The first EPs were seven-inch vinyl records with more tracks than a normal single (typically four to six of them). Although they shared size and speed with singles, they were a recognizably different format than the seven-inch single. Although they could be named after a lead track, they were generally given a different title. Examples include The Beatles' Hits EP from 1963, and Troggs Tops EP from 1966, both of which collected previously released tracks.The playing time was generally between 10 and 15 minutes,,,,,,A double extended play is the name typically given to vinyl records or compact discs released as a set of two discs, each of which would normally qualify as an EP. The name is thus analogous to double album. As vinyl records, the most common format for the double EP, they consist of a pair of 7" discs recorded at 45 or 33 rpm, or two 12" discs recorded at 45 rpm. The format is useful when an album's-worth of material is being pressed by a small plant geared for the production of singles rather than albums, and may have novelty value which can be turned to advantage for publicity purposes. Generally a L.P is a set of songs with continuous play and basically no one is using such format now. An album is a musical recording originally in gramophone or vinyl format, then in other formats such as Compact Cassette, Compact disc, and increasingly in digital format such as MP3. Audio albums in physical form are often provided with decorative covers (cover art) and liner notes and inserts about the music and recording, giving background information and analysis of the recording, lyrics and librettos, images of the performers, and other images and text, as well as thanking contributors. When supplied with compact discs they are known as CD booklets. Historically, the term "album" came from a collection of some form, and in musical usage the word was used for collections of short pieces of printed music from the early nineteenth century. Later, collections of related 78rpm records were bundled in book-like albums (one side of a 78 rpm record could hold only about 3.5 minutes of sound). When long-playing records were introduced, a collection of pieces on a single record was called an album; the word was extended to other recording media such as compact disc, Mini-disc, Compact audio cassette, and digital or MP3 albums, as they were introduced. Use of the term E.P for your music collection allows you to have different or diverging themes in your set of music pieces,i.e you can have the first song about money,,track 2 about how you grew up,the next about politics bla bla bla ,,,to sum it up an E.P avoids the release of the much boring singles everyday.